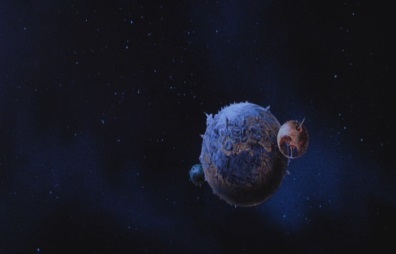 Deep in space, a monstrous planet moves past a sun. 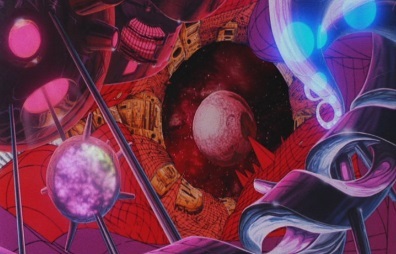 It is Unicron. 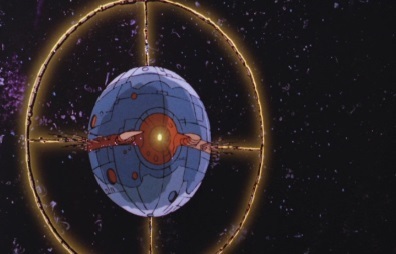 Unicron sees a planet in front of him and heads towards it. 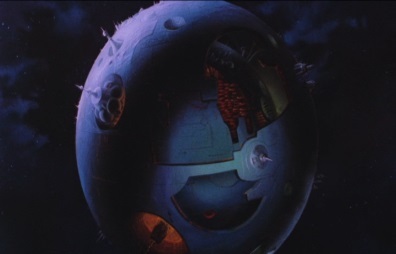 This planet, Lithone, is populated by robots, who are going about their usual lives. 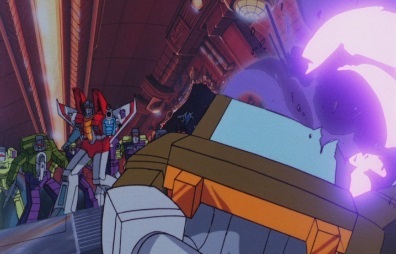 Everything begins to shake, as a robot called Kranix sees Unicron heading towards their world. 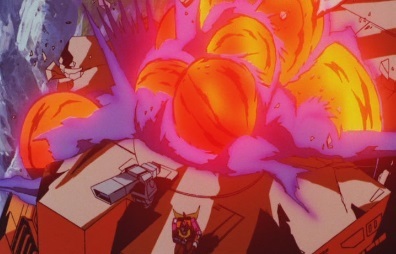 Unicron intends to destroy Lithone, and his two massive pincers crash into it. 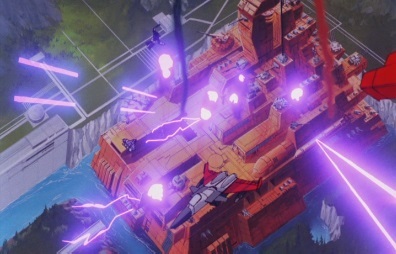 Soon Lithone is being torn apart, as Kranix tells everyone to get to the ships to escape. 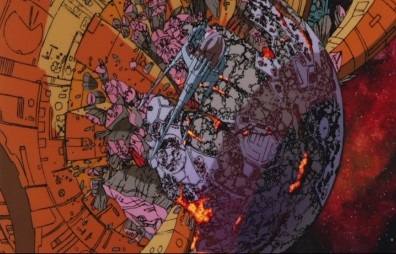 Lithone begins to break into pieces, as Unicron consumes it. 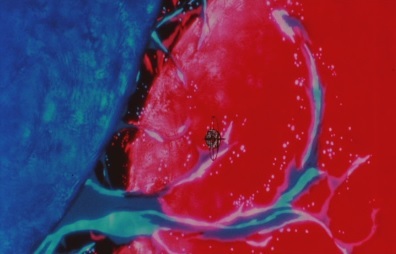 Two ships blast off, but only one, the one with Kranix and his friend Arblus inside it, escapes. 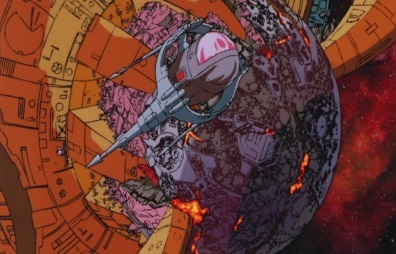 The other ship is sucked back into Unicron and consumed. 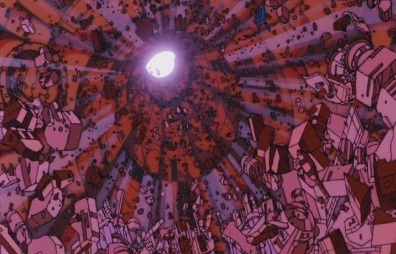 Soon Lithone is gone, and only Unicron remains. 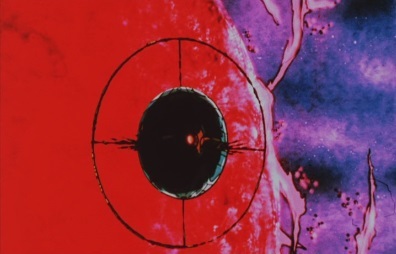 He has consumed the planet to provide himself with a source of energy. 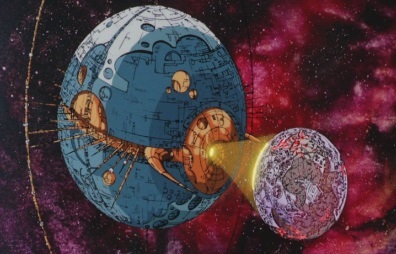 Now he is powered up, Unicron resumes heading towards his target: Cybertron! 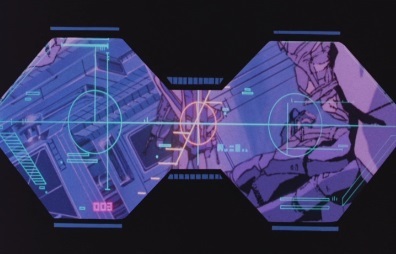 "It is the year 2005. 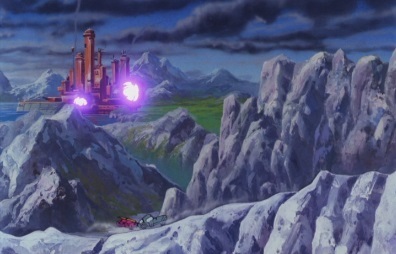 The treacherous Decepticons have conquered the Autobot's home planet of Cybertron. 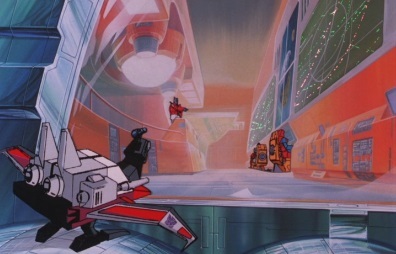 But, from secret staging grounds on two of Cybertron's moons, the valiant Autobots prepare to retake their homeland..."
Laserbeak lands on Moonbase One and starts to record a conversation between Optimus Prime and Ironhide. 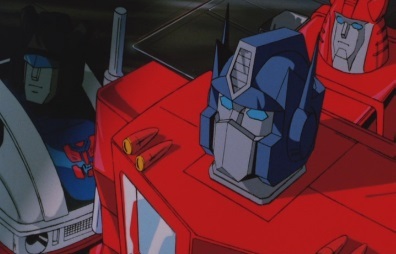 Ironhide is getting frustrated that the Decepticons have taken Cybertron, and wants to defeat them, but Optimus Prime has other ideas. 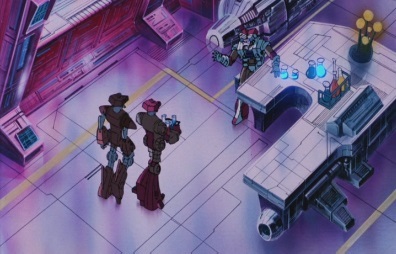 They don't have enough energon here to power a full-scale assault, so he wants him to go to Autobot City on Earth. 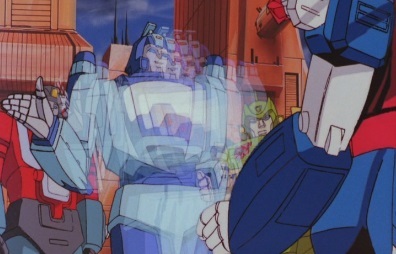 As Ironhide transforms and heads to a shuttle, Optimus wants a security status check. 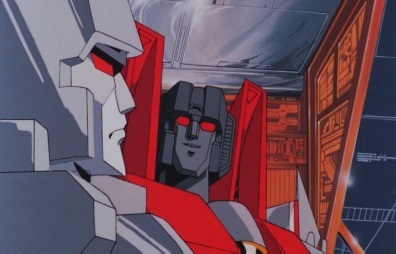 Jazz and Cliffjumper can't see any signs of Decepticon activity, so they contact Moonbase 2. 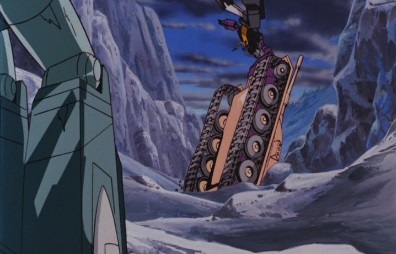 Spike and Bumblebee are at Moonbase 2 and don't see anything either. 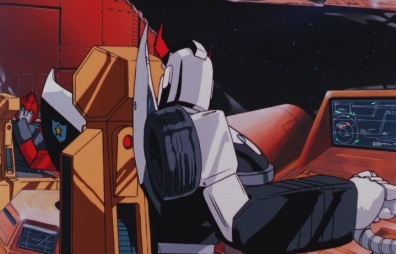 Spike tells Ironhide to tell Daniel, his son, that he misses him, but that he'll be coming home as soon as they've kicked Megatron's tail across the galaxy. 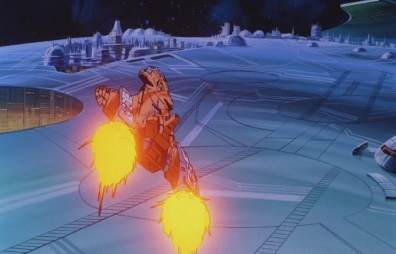 Ironhide and a team of Autobots blast off in the shuttle, heading to Earth. 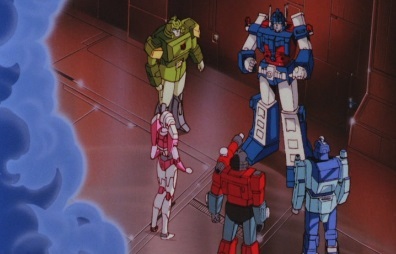 Optimus says that all they need now is a little energon, and a lot of luck. 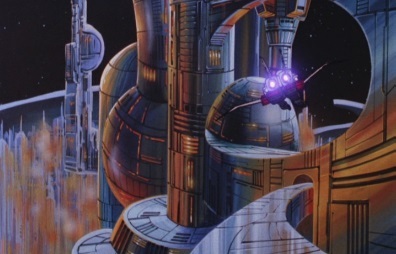 Having seen enough, Laserbeak leaves Moonbase One and heads back to Cybertron. 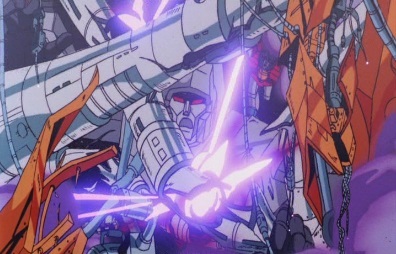 Megatron welcomes him, saying that unlike some of his other warriors, he never fails him. 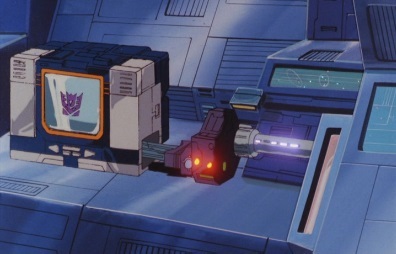 Soundwave transforms and plays back Laserbeak's recording. 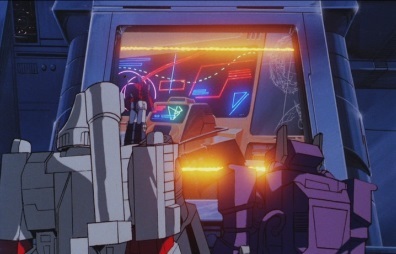 Megatron and the other Decepticons learn of the shuttle heading to Earth, and as Megatron hears Optimus saying they will need a little luck, he says Optimus will need more luck that he could ever imagine. 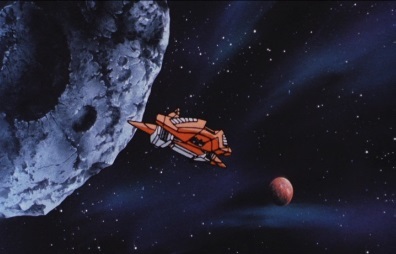 As the shuttle passes as asteroid, there is suddenly an explosion. 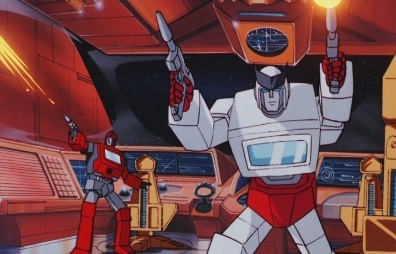 The Autobots turn around to see that some Decepticons have invaded their ship! 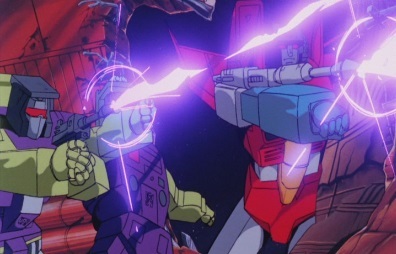 Brawn charges towards them, but Megatron tells them to die. 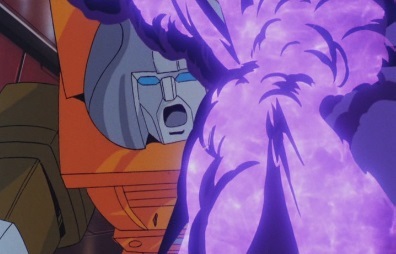 He transforms. 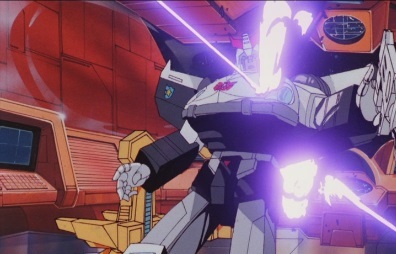 Starscream catches Megatron and fires on Brawn, killing him with a single shot. 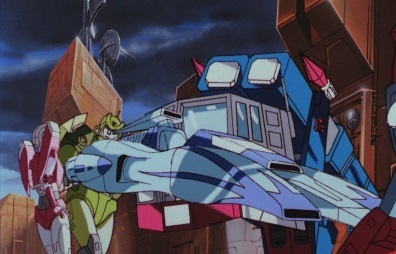 As Starscream points Megatron at the other Autobots, Prowl quickly gets up and takes a shot back at the Decepticons. 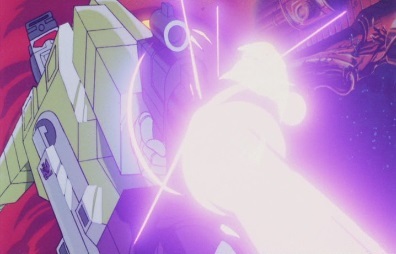 Scavenger avoids being hit and returns fire, scoring a hit on Prowl that kills him. 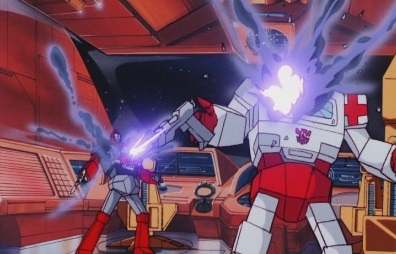 The Decepticons quickly overwhelm the remaining Autobots, shooting down Ironhide and Ratchet in seconds. 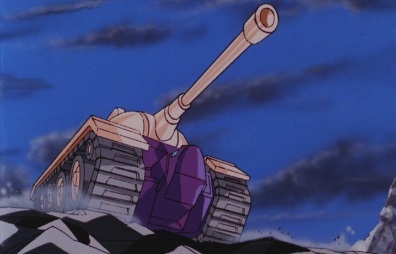 As Megatron transforms back to his robot mode, he thinks this was too easy. 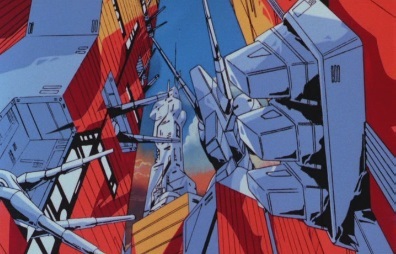 Starscream thinks it was even easier that attacking the real threat: the Autobot Moonbases. 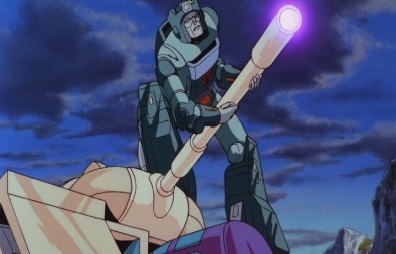 Megatron thinks he is an idiot. 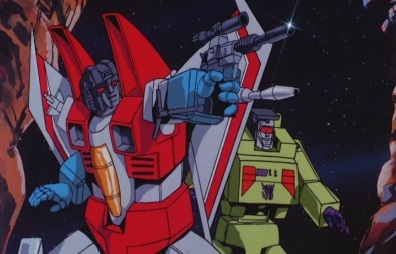 Once they slip by the Autobot's defense systems in this shuttle, they will destroy Autobot City and vanquish the Autobots forever. 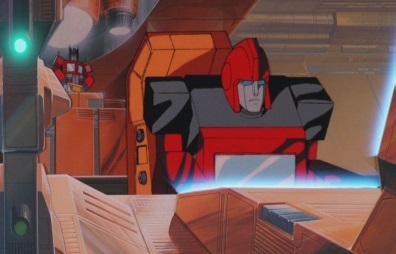 Ironhide is still alive and makes one last-ditch effort to stop Megatron. 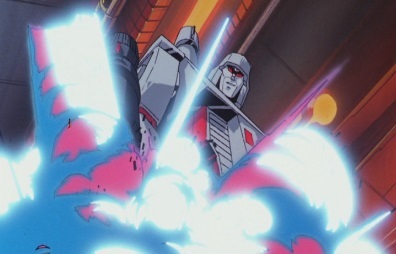 Megatron doesn't think much of this heroic nonsense and takes down Ironhide for good. 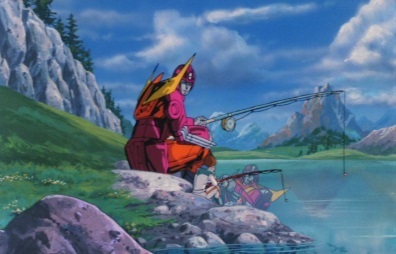 On Earth, Hot Rod is near Autobot City, doing some fishing with Spike's son, Daniel. 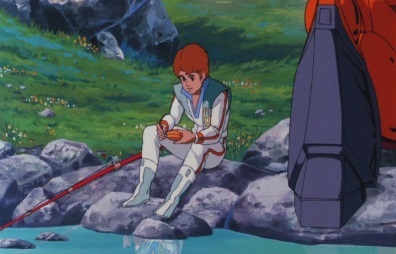 Daniel seems pretty glum and Hot Rod asks what's up. 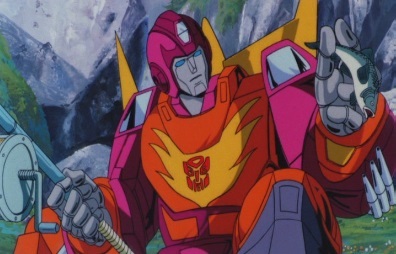 Daniel just says he misses his Dad, but Hot Rod tells him not to worry as Spike will be back soon. 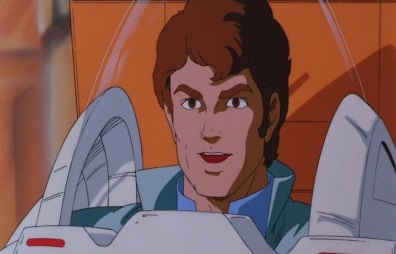 Daniel then finds out the shuttle is coming in to land, and wants to go and see it. 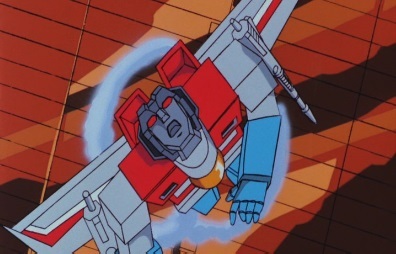 He heads to the city on his jet board, but he crashes. 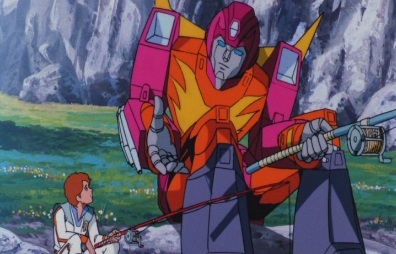 Hot Rod catches him and tells him that if he's going to ride, ride in style! 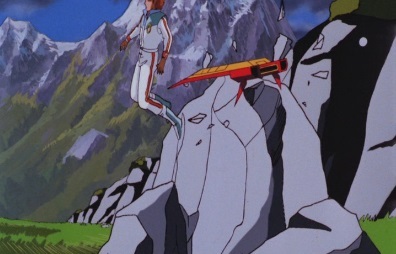 He thinks they'll get a better view at Lookout Mountain. 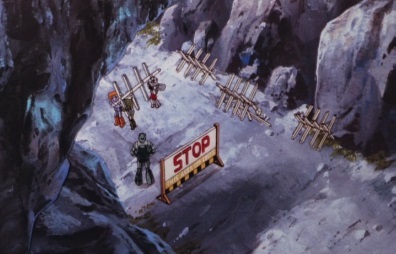 Nearby, Huffer, Hound and Bluestreak and setting up a roadblock under the supervision of Kup. 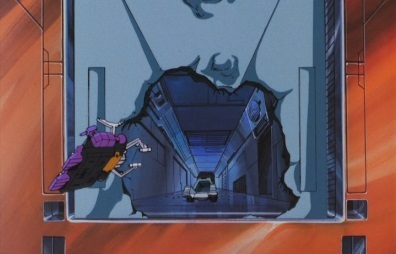 That is until Hot Rod decides he wants to come through, smashing apart the stop sign. 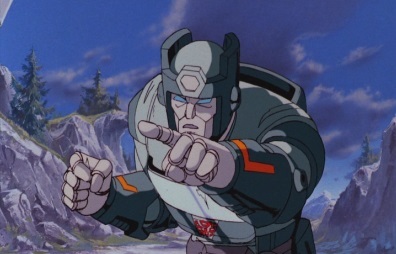 As he races off, Kup says he'll straighten Hot Rod out yet. 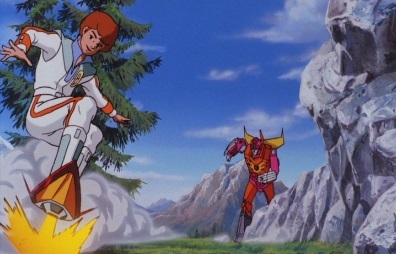 Meanwhile Hot Rod and Daniel arrive at Lookout Mountain, and see the shuttle. 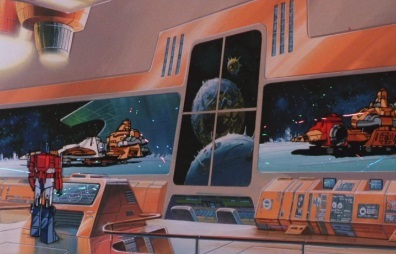 But as Daniel takes a closer look, he sees there is a hole in the shuttle! 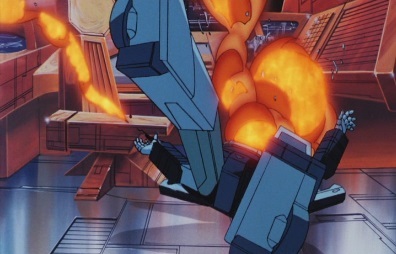 Hot Rod starts firing at it, as Kup can't believe what he's doing, but then suddenly one of Hot Rod's shots causes a large explosion which forces the Decepticons to spill out. 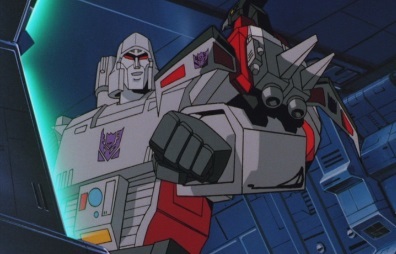 Megatron tells his troops to start their attack. 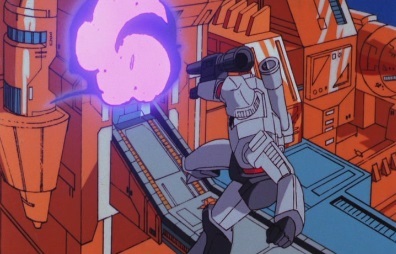 Megatron fires a shot at the observation post, destroying it. 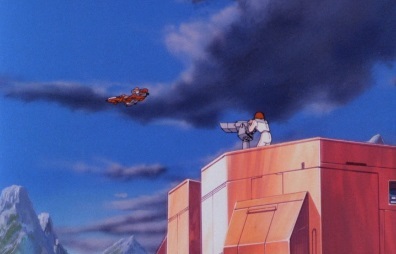 Hot Rod picks up Daniel and the two drop down below, where they are confronted by Blitzwing and Shrapnel. 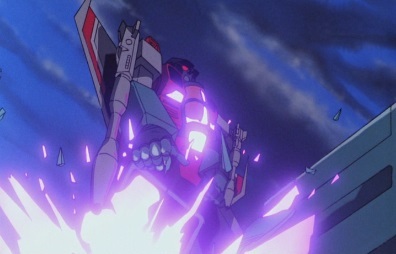 Just as Blitzwing is about to fire, Kup arrives, and forces Blitzwing to miss Hot Rod, hitting Shrapnel instead. 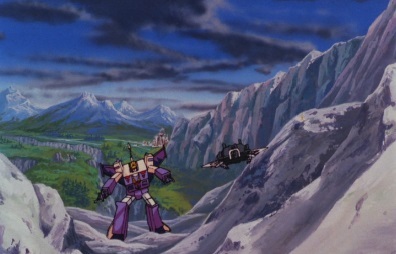 Shrapnel crashes into Blitzwing and the two fall down part of the mountain. 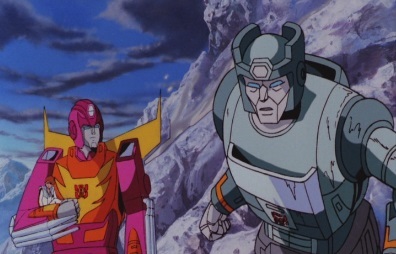 Hot Rod thinks that wasn't bad for an old timer, but Kup says an old timer is something he'll never be if he doesn't get back to the city. 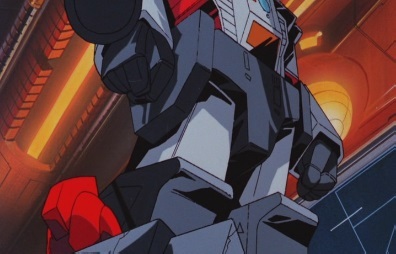 The two transform and head back. 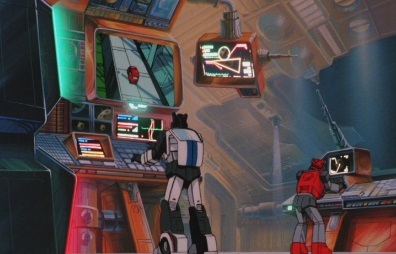 At Autobot City, Perceptor takes a look at the Decepticon army, and informs Ultra Magnus, the City Commander, that things do not look good. 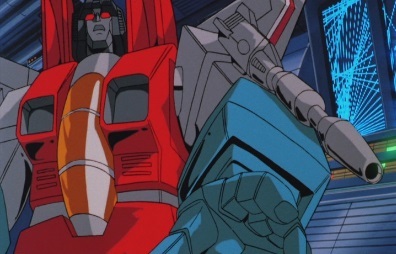 They are outnumbered, so Ultra Magnus tells Perceptor to get to Blaster and tell him to contact Prime so he can send reinforcements. 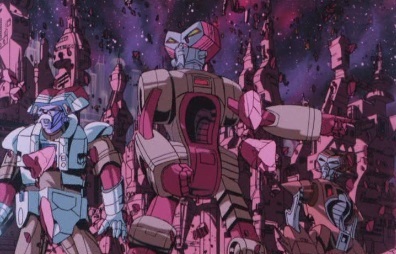 Meanwhile, he and Blurr will go and alert the others, whilst Springer and Arcee are to transform Autobot City. 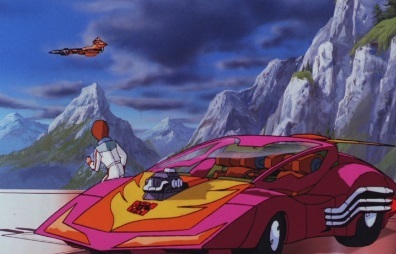 The Autobots move out, but Arcee is concerned about Hot Rod and Kup, as they are still outside the city. 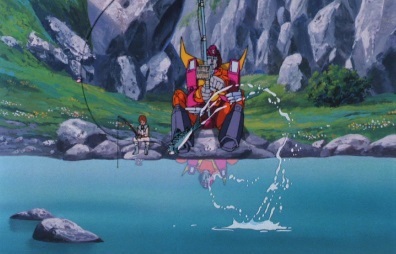 Springer says they can't wait, and the two of them will just have to take care of themselves. 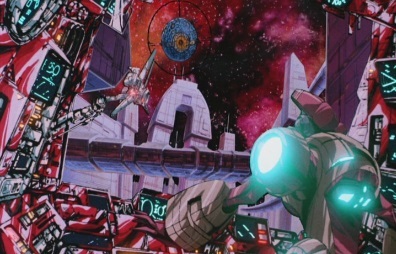 He and Arcee get to work on transforming the city, and despite Starscream's best efforts at stopping them, they successfully get the city into battle station mode. 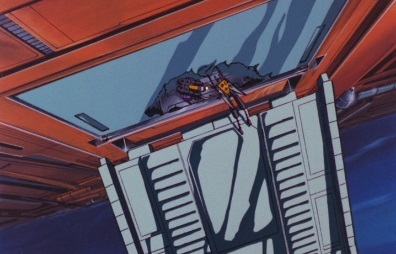 The Decepticons are now stuck outside the city, and Megatron wants to get in. 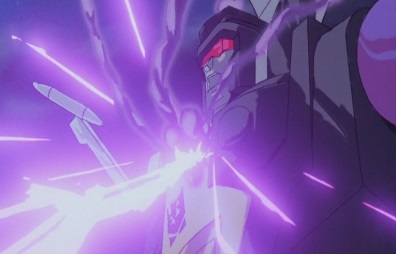 He orders for the Autobot's defenses to be breaches, and soon the Insecticons are chewing through one of the doors. 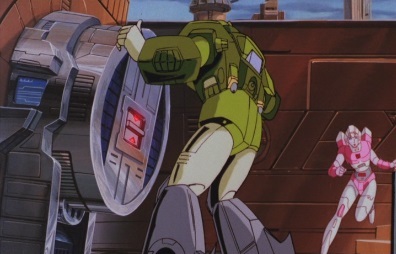 Until Hot Rod and Kup decide to use them as a way of getting in themselves, and run them over. 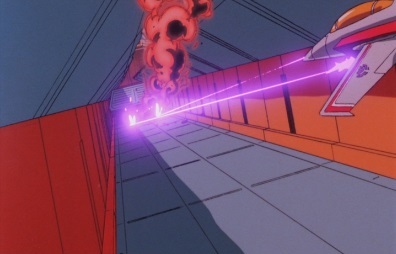 As the Decepticons start to bombard the base with laser fire, Blaster is busy operation a large cannon, shooting down as many enemies as he can. 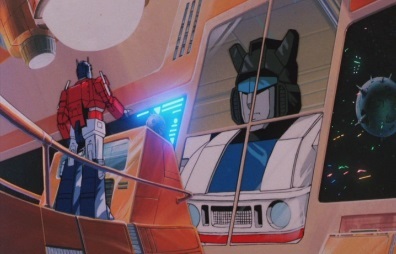 Perceptor then appears, telling Blaster that Ultra Magnus wants him to contact Optimus Prime on Moonbase One. 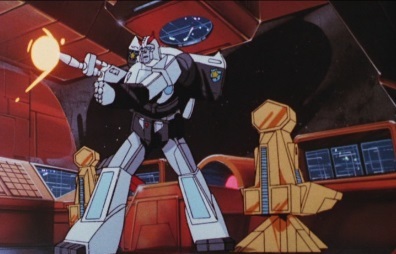 Blaster transforms and sends a message to Moonbase One, but Megatron realises the Autobots are trying to call for help. 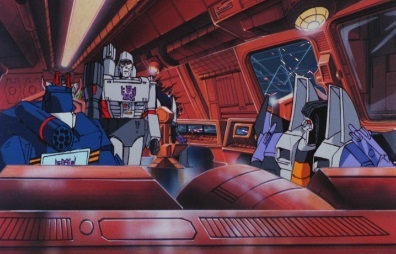 He orders Soundwave to jam the transmission, so Soundwave sends out his cassettes: Rumble, Frenzy, Ravage and Ratbat. 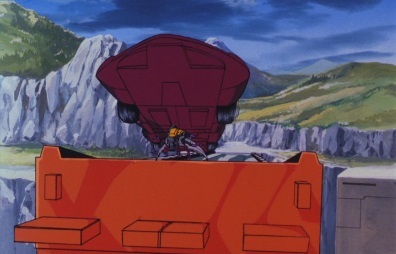 Rumble and Frenzy land and take the satellite dish they find apart, ending the transmission. 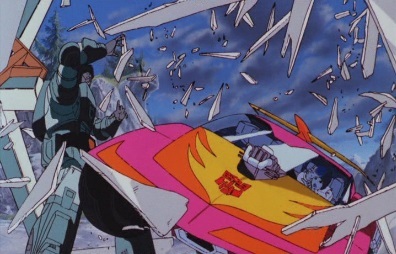 Rumble then uses his pile-driver arms to smash through a panel of glass, and start to attack Perceptor. 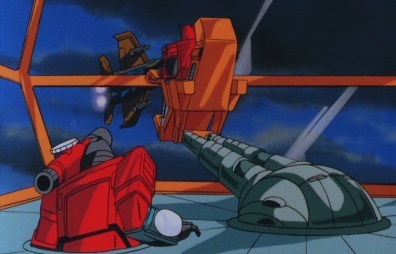 Perceptor tells Blaster to save himself, but Blaster says two can play this game. 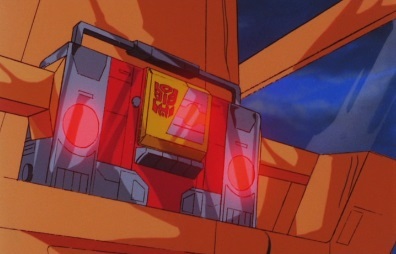 He then reveals his cassettes, sending out Steeljaw, Ramhorn, Eject and Rewind. 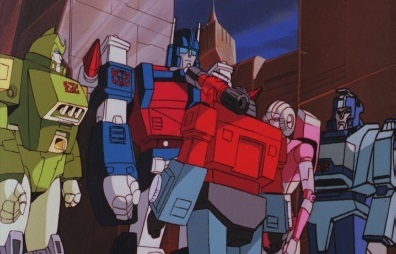 The four of them help Perceptor and start to fight with their Decepticon counterparts. 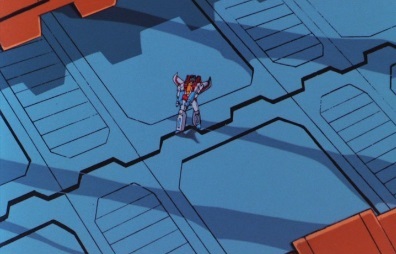 Blaster hopes he got through to Prime, as if he didn't, they'll all be looking like burnt-out toaster ovens. 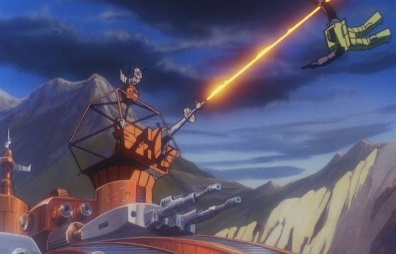 Elsewhere in the city, Springer starts to push a rocket launcher into place, as Arcee tries to drag some fallen Autobots away. 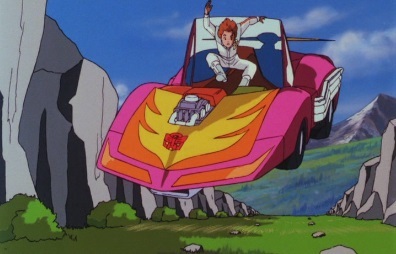 Windcharger and Wheeljack have both died, but Springer tells her to leave them as he needs her help to get this launcher ready. 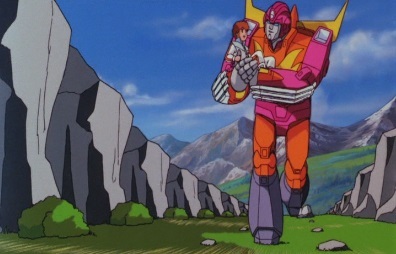 Kup, Hot Rod and Daniel then arrive, and help them out. 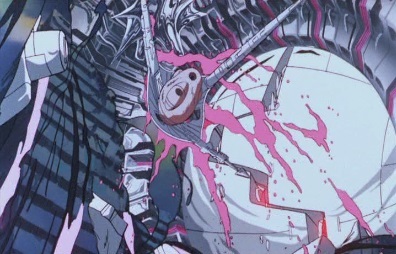 ...and then starts pounding on a wall. 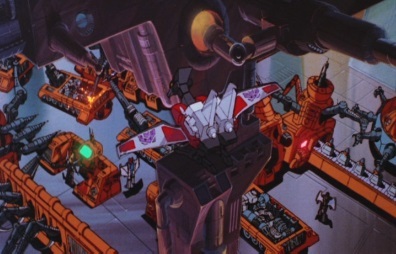 Springer starts using the launcher to fire rockets, one of which hits Devastator on the back and the others scatter the Decepticons. 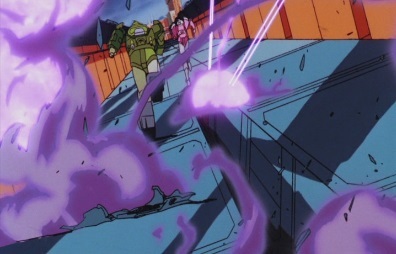 Devastator recovers, rips off part of the wall and throws it at the Autobots. 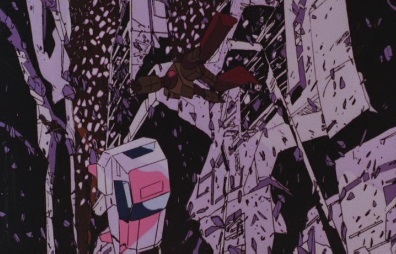 They are forced to leave the launcher and run as the room they are in collapses. 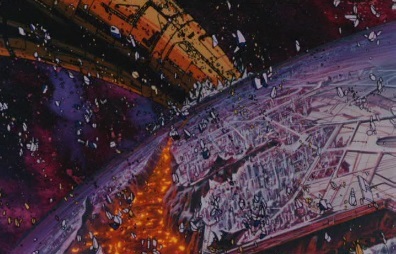 The battle goes on throughout the night and into the early morning. 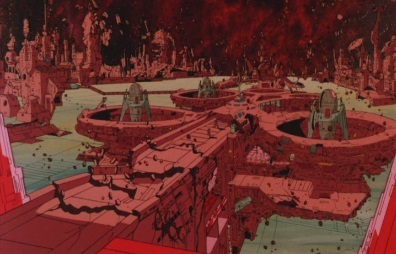 Autobot City is heavily damaged, and Megatron knows that their defenses are broken -let the slaughter begin! 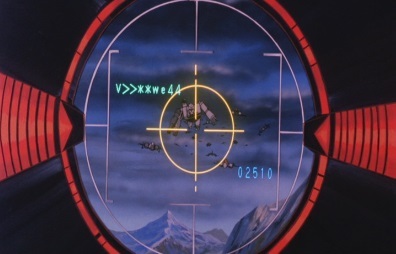 But he then hears something in the sky above. 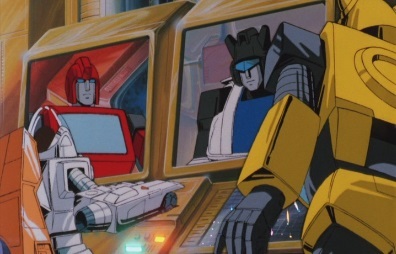 An Autobot shuttle has arrived, and Optimus Prime, Sunstreaker and the Dinobots are onboard it. 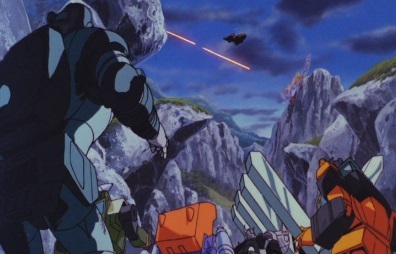 Optimus tells the Dinobots to destroy Devastator. 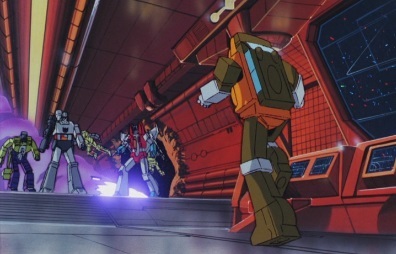 Grimlock loves a challenge, so he and his team leave the shuttle and transform, heading straight to Devastator. 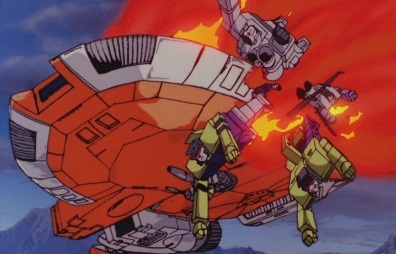 However, Devastator is more then a match for them, kicking back Grimlock and throwing Sludge. 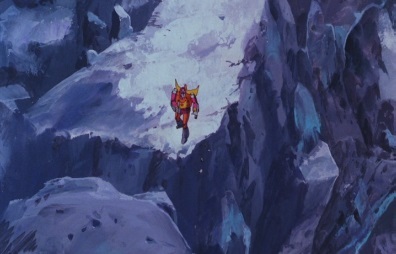 But Slag is the one who finally takes him down, charging into him and knocking him down for the moment. 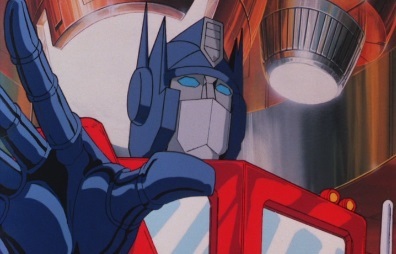 As Optimus Prime leaves the shuttle, he sees the Decepticons not far away. 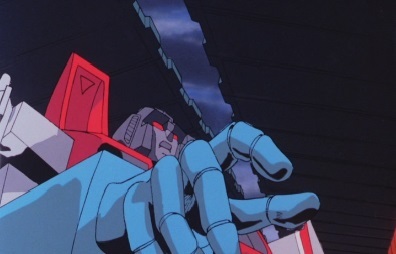 He knows that Megatron must be stopped -no matter the cost.